Living in the Florida Keys is an opportunity to experience all that island life has to offer. Your dreams become reality when you own a piece of paradise. Why wait when you can start experiencing the Florida Keys lifestyle today. Owning a home in the Florida Keys offers unlimited access to all the amenities and incredible nature that abounds in this beautiful area. Whether you love to fish, dive, snorkel, kayak, jet ski, or just lounge waterside the Florida Keys is the place to be. More than a destination, it's a lifestyle! The Florida Keys is comprised of a chain of islands that begin at the southeastern tip of the Florida peninsula, about 15 miles south of Miami and extend in a gentle arc south-southwest and then westward to Key West, the westernmost of the inhabited islands. The chain of islands is approximately 120 miles long and can be traveled by motor vehicles on U.S. Hwy 1 also known as the Overseas Highway. Ocean front, bay front and canal front properties constitute the majority of sales throughout the Florida Keys. Condo sales are also prevalent as their amenities and minimal property maintenance give them a favorable advantage over owning a home. 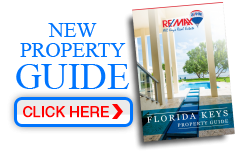 For those seeking to buy a second home and offer the potential of added return thru possible vacation home rental income, the Florida Keys real estate market offers numerous opportunities.